A first book of feelings for the very youngest children. Lift the flaps and explore the world of emotions in this fun, interactive board book for very young children. 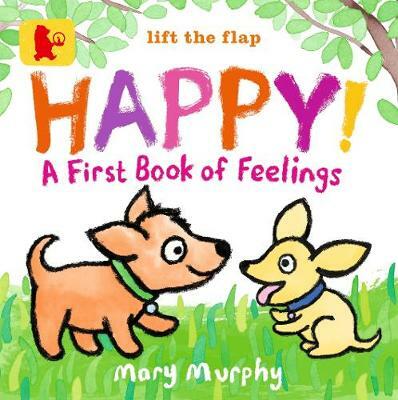 Mary Murphy's warm and wittily illustrated puppies provide a charming and engaging way to find out all about feelings through play and common experience to provide a springboard for discussion for families, friends and nurseries. Happy! features the same adorable puppy and is a companion title to Mary Murphy's Are You My Mummy?